Who Can Vote in Canadian Elections? Much like the system of government in the United States, there are three levels of government in Canada: federal, provincial or territorial, and local. Since Canada has a parliamentary system, it's not quite the same as the American electoral process, and some of the rules are different. For instance, Canadians who are at least 18 years old and inmates in a correctional institution or a federal penitentiary in Canada may vote by special ballot in federal elections, by-elections, and referendums, regardless of the length of the term they are serving. In the U.S., voting by felons is not regulated at the federal level, and only two American states allow incarcerated people to vote. Canada uses a plurality voting system, which allows each voter to vote for one candidate per office. The candidate who receives more votes than any other candidate is elected, even though he or she may not have a majority of total votes cast. In Canadian federal elections, this is how each district chooses the member who will represent it in Parliament. The rules for elections at the local level in Canada can vary, depending on the purpose of the election and where it's being held. To vote in a Canadian federal election, you must be a Canadian citizen and be 18 or older on election day. The names of most eligible voters in Canada will appear on the National Register of Electors. 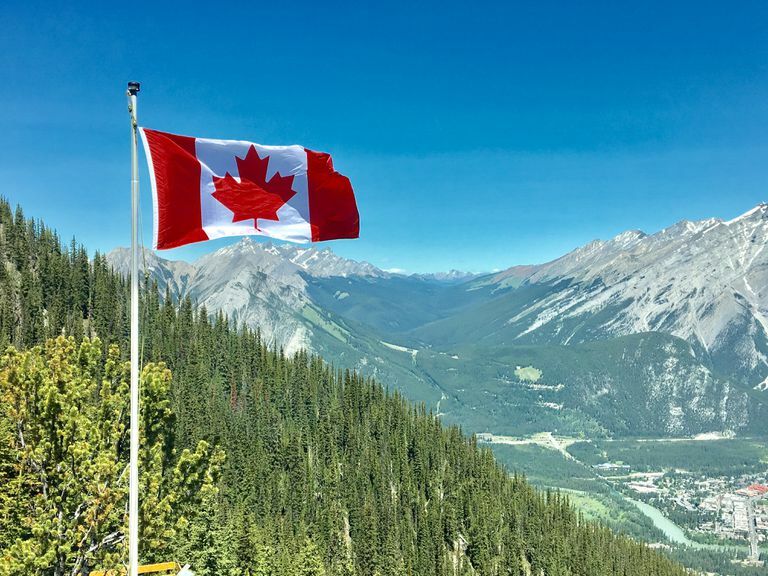 This is a database of basic information drawn from various federal and provincial sources, including the Canada Revenue Agency, provinces' and territories' motor vehicle registries, and the Citizenship and Immigration Canada department. The National Register of Electors is used to prepare the preliminary list of electors for Canadian federal elections. If you want to vote in Canada and you're not on the list, you have to get on the list or be able to demonstrate your eligibility through other qualifying documentation. The Chief Electoral Officer of Canada and the Assistant Chief Electoral Officer are not allowed to vote in a Canadian federal election in order to maintain impartiality. Do You Have to Be a Citizen in Canada to Vote? In most Canadian provinces and territories, only citizens may vote. Until the late 20th and early 21st centuries, British subjects who weren't citizens but resided in a Canadian province or territory were eligible to vote in elections at the provincial/territorial level. In addition to being a Canadian citizen, most provinces and territories require voters to be 18 years old and a resident of the province or territory for six months prior to election day. There are a few variations on those rules, however. In the Northwest Territories, Yukon, and Nunavut, a voter must live there for a year prior to election day in order to be eligible. In Ontario, there's no restriction on how long a citizen needs to live there before voting, but refugees, permanent residents, and temporary residents aren't eligible. New Brunswick requires citizens to reside there for 40 days prior to a provincial election to be eligible. Newfoundland voters have to live in the province the day before polling (voting) day to qualify for provincial election voting. And in Nova Scotia, citizens must live there for six months before the day an election is called. In Saskatchewan, British subjects (that is, anyone who resides in Canada but has citizenship in another British Commonwealth) may still vote in municipal elections. Students and military personnel who move into the province are immediately eligible to vote in Saskatchewan's elections. Are You Eligible to Vote in a Canadian Federal Election? Who Was The Father of Medicare in Canada? What Is a Riding in Canadian Elections?